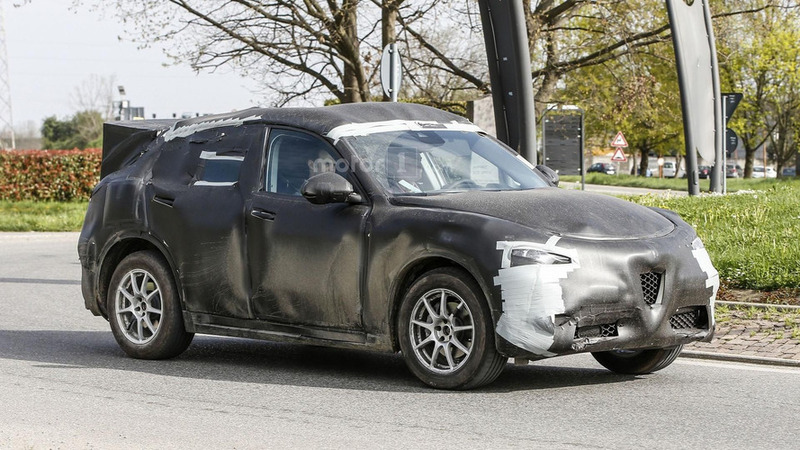 Alfa Romeo's product revival is kicking into high gear as spy photographers have snapped the first photos of the Stelvio crossover wearing a production body. Set to be launched sometime next year, the Stelvio has a Giulia-inspired front fascia with an iconic Alfa Romeo grille that is flanked by slender headlights. 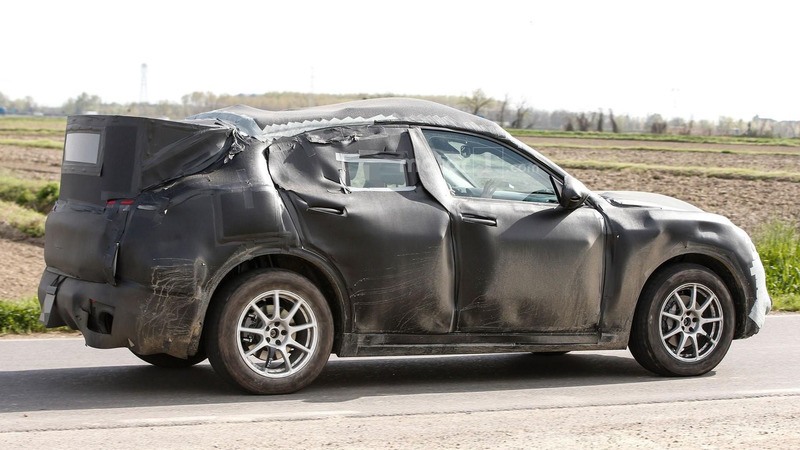 Camouflage hides most of the other styling details but the crossover has a rakish windscreen, an upward sweeping beltline, and a gently sloping roof. The model also has wraparound taillights and a dual exhaust system. Alfa Romeo has been relatively tight-lipped about the model but it will ride on the same platform that underpins the Giulia. Rear-wheel drive will be standard on entry-level variants but all-wheel drive will also be available. Engine options will carryover from the Giulia so American consumers can expect to see a turbocharged 2.0-liter four-cylinder that produces 276 horsepower and 295 pound-feet of torque. There will also be a high-performance Quadrifoglio Verde variant that uses a 2.9-liter biturbo V6 engine that develops 505 hp and 443 lb-ft of torque. It enables the Giulia QV to accelerate from 0-60 miles per hour in 3.8 seconds before hitting a top speed of 191 mph, so expect the Stelvio QV to be slightly slower.